Latina Lista: News from the Latinx perspective > Columns & Features > Guest Voz > Changing Latinx family dynamics beg the question: Who will care for us when we are viejitos? Hispanics represent 1 out of 6 Americans, totaling 56.5 million people in 2015. By the middle of the next century, the nation’s Hispanic population is expected to reach almost 100 million. Given their numbers, Hispanics have a significant economic impact. They have a higher labor force participation rate than non-Latinos, and they will make up nearly 30 percent of the U.S. labor force by 2050. Mexican immigrants contribute about 12 percent to the gross domestic product in the U.S., according to estimates from BBVA, one of the largest financial institutions in Mexico. 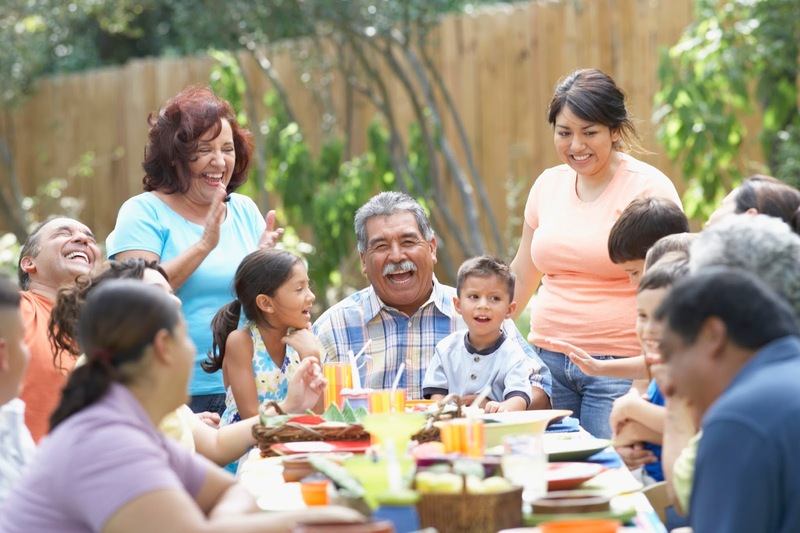 While we should recognize these important contributions, Hispanic Heritage Month also means we should more closely examine the state of the Hispanic population in the U.S. And more importantly, we should consider how we deal with an aging Hispanic population. Although the Hispanic population is younger than non-Hispanic groups, it is aging rapidly. In the U.S., people of all ethnicities are living longer than ever, and Hispanics are at the forefront of that trend. Unfortunately, Hispanics, and especially Mexican Americans, spend a large fraction of the years past 65 suffering from serious chronic health problems. This extended period of frailty and infirmity means that older Latinos require a relatively high level of assistance for protracted periods. Despite high levels of need, a recent Associated Press-National Opinion Research Center poll shows that Hispanics shun nursing homes and remain in the community even with seriously compromised health. And it is often the family that continues to play a major role in the care of frail elderly parents. However, Mexican Americans and Latino families are undergoing changes that make it unlikely that the family of the future will be able to care for their older parents. The fact that women must work and cannot stay home to care for aging parents, the geographic dispersion of families, the loss of traditional cultural values and greater marital instability, among other things, make it more difficult for Hispanic households to maintain traditional ways of life. These changes are compounded by the fact that Hispanic households are more likely than non-Latino white households to be in poverty. In the future, we will face difficult choices regarding where aging parents or grandparents will live when they can no longer live independently. But it is clear that an excessive reliance of family members as caregivers cannot continue. Although many individuals assume that Medicare pays for long-term care, it does not. It pays for only 100 days of post-acute care after which Medicaid becomes the payer of last resort, once an individual spends nearly all of his or her resources. Potential reductions in Medicaid payments for long-term care, like the one lawmakers are currently debating, could seriously impact all low-income elderly individuals and their families. If the latest “repeal and replace” legislation passes, states will face difficult decisions. Either they cut benefits, cover fewer people, or raise taxes to finance the extra costs — all politically and socially unpalatable prospects. The real losers would be low-income adults who benefited from Medicaid expansion, as well as individuals who might be denied long-term care because their incomes are slightly above new income thresholds. Reductions in per capita funding will invariably increase out-of-pocket costs for frail elders and people with disabilities. It is clear that whatever one’s political position, we need both public and private solutions as proposed by the Bi-Partisan Policy Center founded by Senate Majority Leaders Howard Baker, Tom Daschle, Bob Dole and George Mitchell. Legislation proposed as part of this initiative, the Credit for Caring Act, would provide much-needed financial relief. The bill would create a federal, nonrefundable tax credit of up to $3,000 for working family caregivers of individuals of any age with functional and/or cognitive limitations. Local, state and federal agencies could strengthen partnership networks that help family caregivers enable older adults and individuals with disabilities to live successfully in their homes and communities. Unquestionably, providing guidance and training to help care-recipients stay in their homes for as long as possible is critical, especially in light of the projected acute shortage of community-based direct service workers, such as home health aides, in the coming years. Jacqueline Angel is a professor in the LBJ School of Public Affairs at The University of Texas at Austin. She recently published “Family, Intergenerational Solidarity and Post-Traditional Society” (Routledge), co-authored with Ronald Angel. Previous Post School Vouchers: What Do Latino Parents Want?